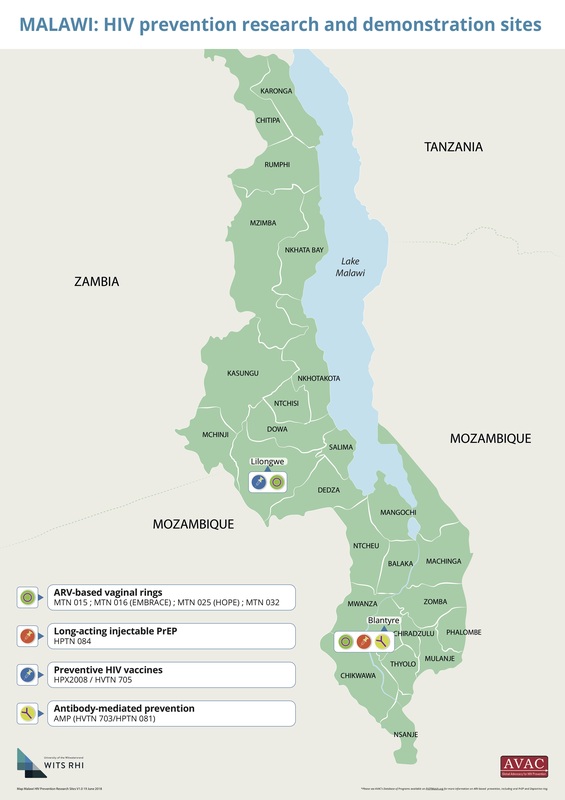 This map demonstrates the breadth of HIV prevention research in Malawi by site and type (e.g. ARV-based vaginal rings, long-acting injectable PrEP, preventive HIV vaccines, antibodies). This map was developed by Wits RHI with support from AVAC as part of the Coalition to Accelerate and Support Prevention Research.